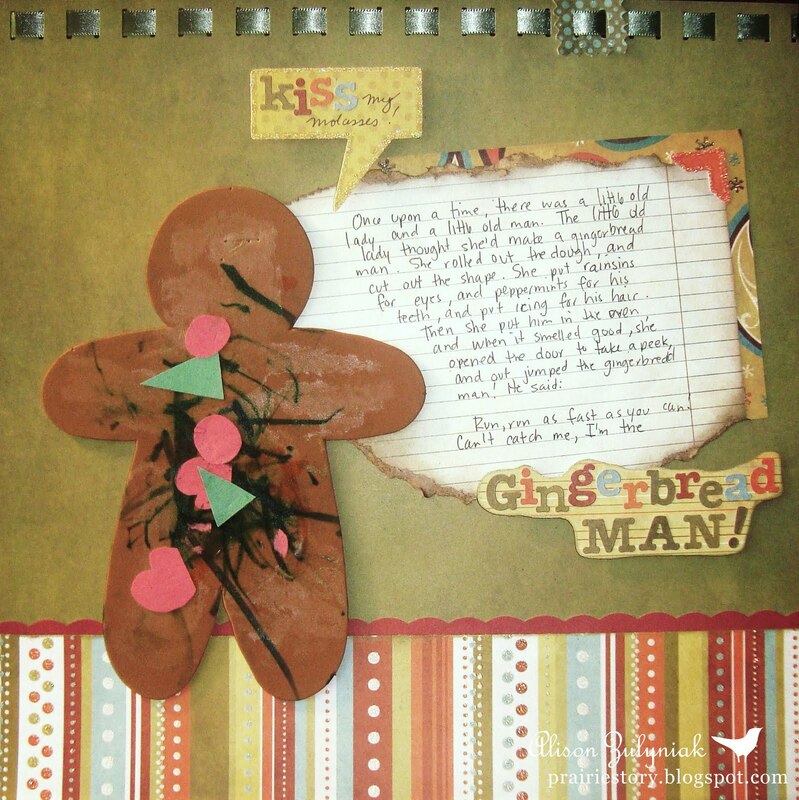 I themed my son's gingerbread man art from last Christmas around The Gingerbread Man Story. Here is the excerpt I used - Once upon a time there was a little old lady and a little old man. The little old lady thought she'd make a gingerbread man. She rolled out the dough, and cut out the shape, and she put raisins for his eyes, and peppermints for his teeth, and put icing on his head for the hair. Then she put him in the oven, and when it smelled good, she opened up the door to take a peek and out jumped the gingerbread man. He said: "Run, run as fast as you can. 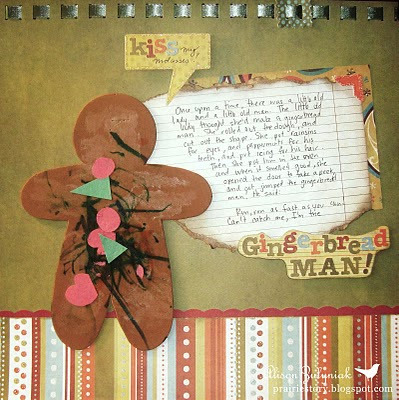 Can't catch me, I'm the Gingerbread Man!" Construction paper glued on gingerbread man foam, markers. Ink: Martha Stewart Metallics Copper and Gold. Other: Fiskars Leave It to Weaver Boarder Punch, Offray Green Ribbon, We R Memory Keepers Grandma's Kitchen Alphabet Stickers & Chipboard with Glitter.